At this year’s NAB Show in Las Vegas (April 8-11) Carl Zeiss will not only display cine lenses at its booth C9043, it will also present its entire portfolio of lenses for digital single-lens reflex cameras (DSLR), with a total of 13 focal lengths for F mount and 12 focal lengths for EF mount cameras. 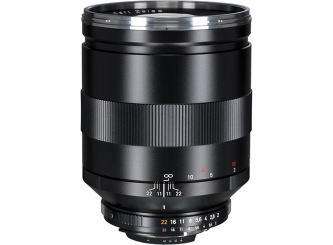 Included in this range are the new Distagon T* 2,8/15 ultra wide angle lens and the new Apo-Sonnar T* 2/135 telephoto lens, which began shipping in early 2013. The ZEISS SLR lenses will be of particular interest to entry-level filmmakers as well as still photographers adding video production to their range of services. 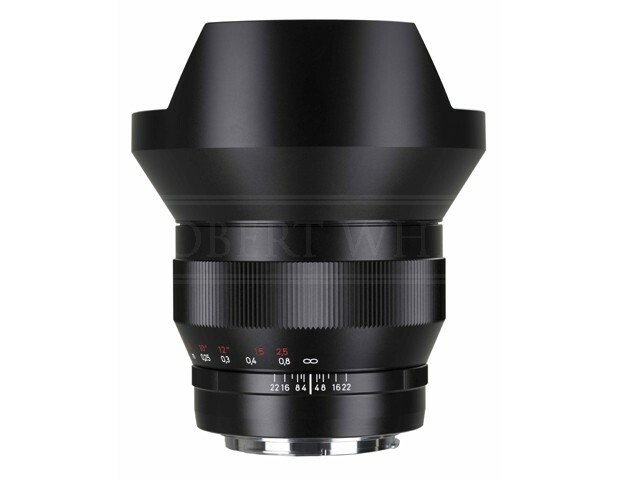 These manual focus lenses enable precise focusing and feature a long angle of focus rotation. As a result, they achieve exactly the sharpness that is needed. Furthermore, they allow a compact camera set-up (even in cramped shooting locations); create new perspectives; and have a less daunting impact on people involved on the set than when using large cameras. The combination of these features also makes the ZEISS SLR lenses a good choice for more sophisticated HD video users when filming interviews, documentaries, music videos or corporate image videos. Even with all these advantages, SLR lenses can reach their limits when used for video. “When I started out, the ZEISS SLR lenses were just the right choice and a good basis for my work. They created great results. But as your experience grows, you have further requirements. That’s why I gradually switched to the CP.2 lenses,” says Clinton Harn, a director of photography. Unlike the SLR lenses, the lenses from the Compact family have a cine-style housing, a standardized focus rotation angle of 300° and gears to mount follow-focus systems. A uniform size and consistent front diameter on all CP.2 cine lenses also make it possible to use matte boxes with very little effort. Other key advantages compared to the SLR lenses are five additional aperture blades for a rounder iris opening, bringing the total to 14 and resulting in a harmonious bokeh. The Carl Zeiss Group is an international leader in the fields of optics and optoelectronics. In fiscal year 2011/12 the company’s approximately 24,000 employees generated revenue of nearly 4.2 billion euros. In the markets for Industrial Solutions, Research Solutions, Medical Technology and Consumer Optics, Carl Zeiss has contributed to technological progress for more than 160 years and enhances the quality of life of many people around the globe. The Carl Zeiss Group develops and produces planetariums, eyeglass lenses, camera and cine lenses and binoculars as well as solutions for biomedical research, medical technology and the semiconductor, automotive and mechanical engineering industries. Carl Zeiss is present in over 40 countries around the globe with about 40 production facilities, over 50 sales and service locations and service locations and approximately 20 research and development sites. Carl Zeiss AG is fully owned by the Carl Zeiss Stiftung (Carl Zeiss Foundation). Founded in 1846 in Jena, the company is headquartered in Oberkochen, Germany.